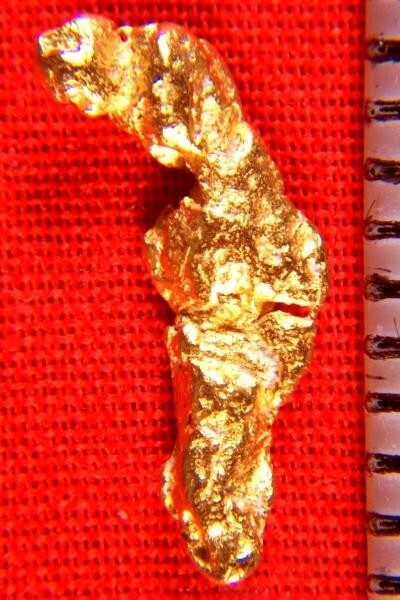 Let your imagination run wild and this Natural Australian Gold Nugget starts to look like a seal. It is rare and unusual to see natural gold specimens in such distinct shapes. I have one of the largest selections of distinct shaped natural gold nuggets that you will see anywhere, and it has taken me many years to collect them. They are also all jewelry/investment grade, the highest grade of natural gold nugget that you can buy, and the grade that I specialize in. I have searched through literally thousands of gold nuggets and many collections to put together this collection that you see here. 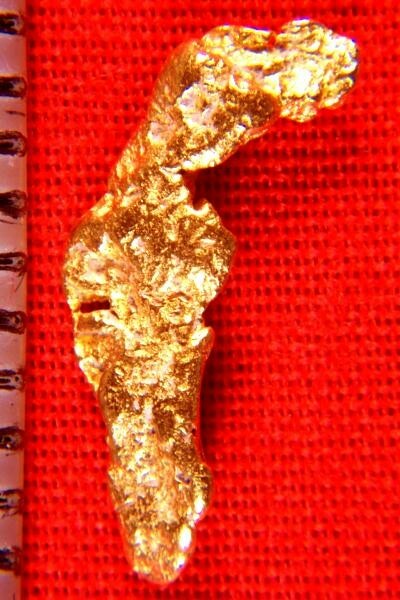 This beautiful and unique Australian gold nugget is quite long at 5/8" (16 mm) long and the weight is 14.6 Grains (0.95 Gram).